[Ep. 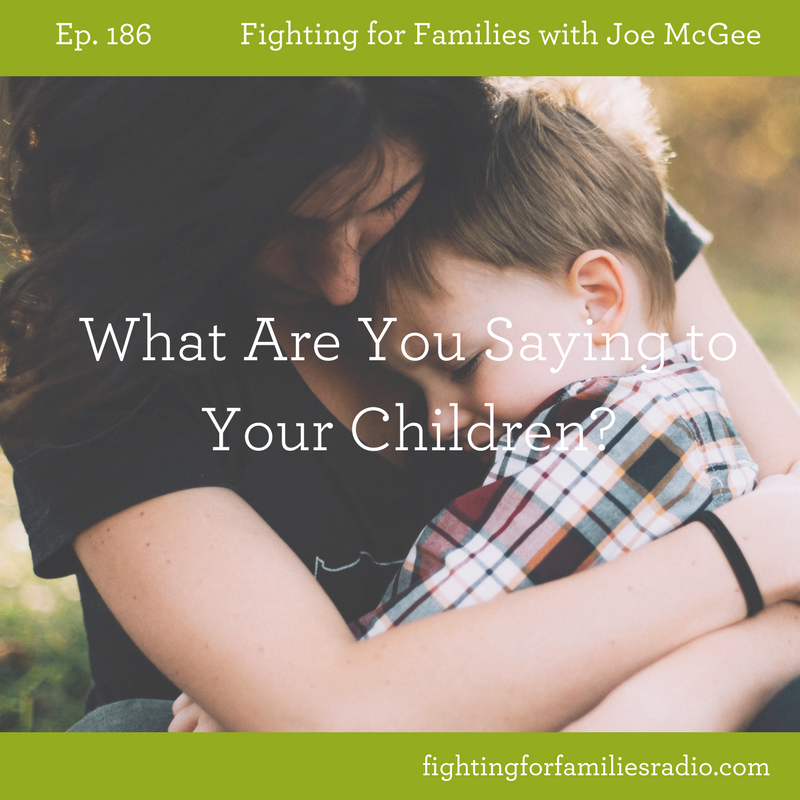 186] What Are You Saying to Your Children? Posted on Tuesday, May 16th, 2017 at 1:00 am. As parents, we say a lot to our children, but we need to make sure that we are watching our words. What we say to and about them carries a lot of weight with them whether they admit it or not. 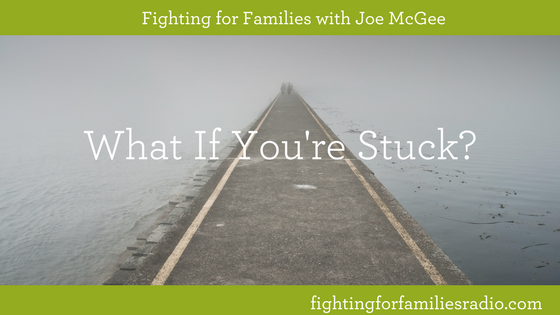 Listen in to this classic episode of Fighting for Families radio with Joe as he shares on the importance of what we say. Posted on Tuesday, May 9th, 2017 at 5:49 pm. When are you going to be responsible? Have you ever asked your kids this — or at least thought it in your head? A mom’s to-do list can feel like a never-ending list [the same thing applies to parents in general.] 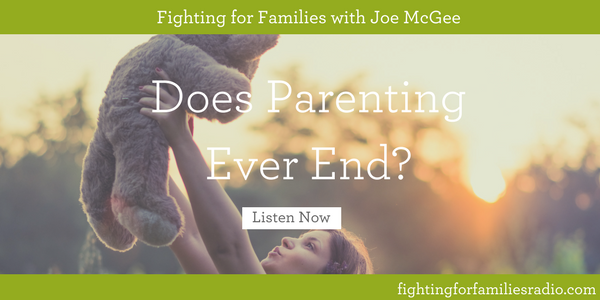 Listen in to this classic episode of Fighting for Families radio as Joe and his wife, Denise had a conversation about raising responsible children. Posted on Monday, May 1st, 2017 at 8:33 pm. 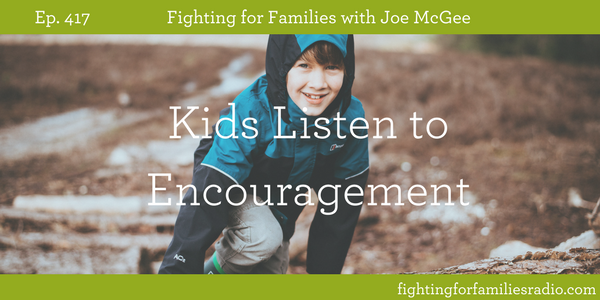 Our kids need encouragement. If they don’t get encouragement for the right things, they’ll seek encouragement for the wrong things. Posted on Wednesday, April 26th, 2017 at 1:11 pm. Do you want to excel at the plan God has for you? The answer is simple. Avoid talking about stupid things, listening to stupid things, and thinking about stupid things. What defines stupid you ask? In, Joe talks about that very thing. [Ep. 414] Does Parenting Ever End? Posted on Monday, April 24th, 2017 at 4:41 pm. Have you ever wondered when parenting stops? The culture would tell us that parenting stops when your child becomes an adult. But the truth is that parenting continues forever. Your children will need you to be a parent when they are 50 and you are 70. Many parents are facing a transition with their children as graduation and the summer approaches. This is a good time to consider the legacy you are depositing into your children. 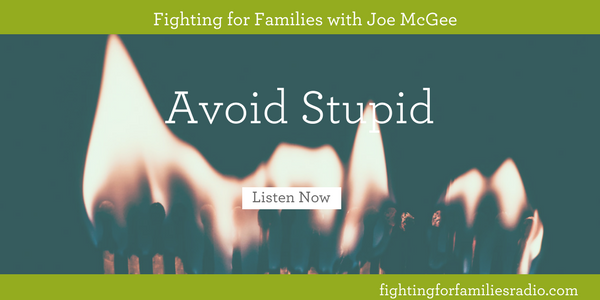 Joe and Matt discuss parenting in this episode of Fighting for Families. Posted on Monday, April 17th, 2017 at 5:59 pm. [Ep. 408] Can You Pray for Money? Posted on Monday, April 17th, 2017 at 5:44 pm. Money can be a touchy subject. As Christians, we know that we can’t just use God to get rich, but God’s Word says that He will meet our needs [Philippians 4:19]. Many folks get confused on where the line is between those two things. In this episode, Joe and Matt discuss what the Bible says about money and how to get the amount you need. Posted on Friday, April 7th, 2017 at 6:10 pm. 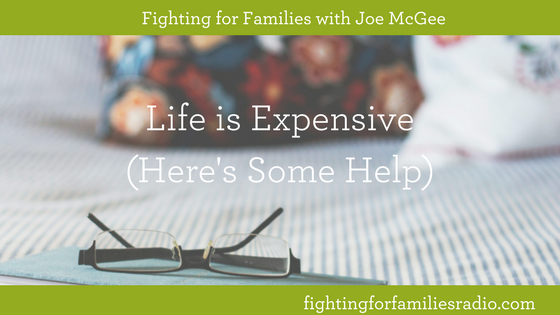 Joe discusses God’s plan for you as you face rising expenses. God still meets our needs no matter how much they are! Posted on Friday, April 7th, 2017 at 4:26 pm. 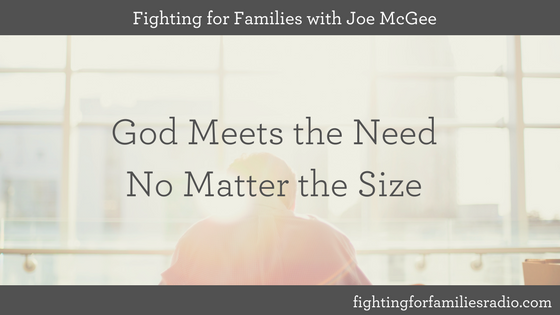 Joe and Matt discuss God’s approach to meeting your needs. It doesn’t matter what the need, God promises to help you pay for it. Posted on Tuesday, March 28th, 2017 at 5:25 pm. There are three keys to accessing all that God has promised you in your finances. 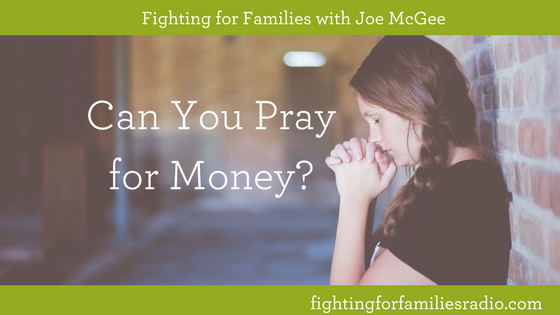 In this episode of Fighting for Families radio, Joe and Matt discuss how you can practically ask, pray, and praise yourself into financial stability. Join in as you laugh and learn to Joe’s stories and biblical inspiration.